Most people know and use dish soap for cleaning their utensils. If you are one of them, you are lucky reading this. Dishwashing soap does more than clean utensils. It is one of the most resourceful arsenals you can have in your home. You will be surprised how much the detergent’s cleaning power can come through in various ways. Of course, the multifunctions of the soap that will be listed have products that do the job; but dish soap is –in most ways- better because of its mild nature. 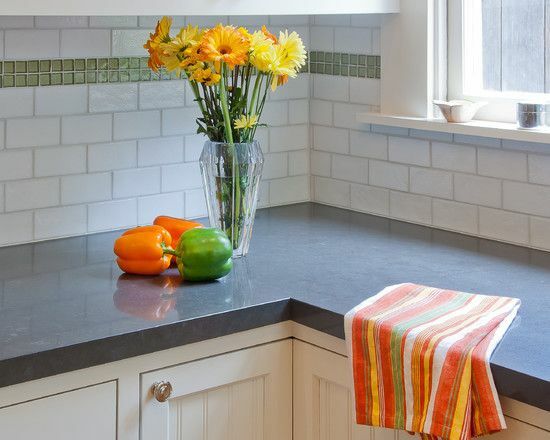 Here are 10 ways you can use your dishwashing soap. Incorporate them and you will be grateful you stumbled upon this article. Yes, the rumor is true, dish soap helps in killing weeds, though not by itself. For an environmentally friendly method of controlling weeds (since we are resorting to becoming better earthlings), pulling them out is always effective. 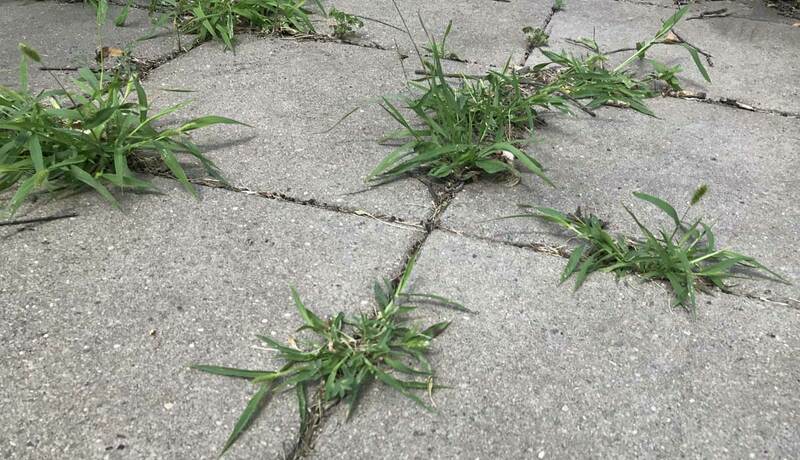 Yet, in many ways, herbicides are more resourceful considering weeds that grow in cracks of sidewalks and patio pavers. Make your own cheap and effective herbicide by mixing one teaspoon of dishwashing soap, one cup of salt and one gallon of white vinegar. The mixture has all the ingredients needed to kill weeds. Basically, the soap is used as a surfactant. This simply means it’s the surface that reduces the surface tension that may prevent the weed killing concoction from being absorbed into the plant. It’s most effective and great when light weeding. 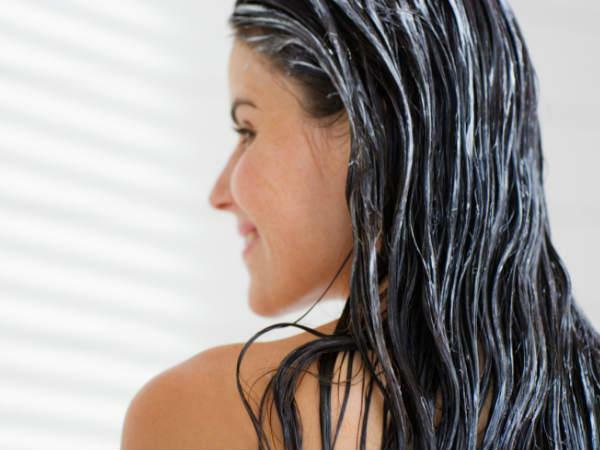 Greasy hair is very unpleasant and attracts dirt easily. If you are having a bad hair day, simply mix a small amount of dishwashing soap with your shampoo. It will fight the grease as well as it does in the utensils. The shampoo does a good job of cleaning your hair but when it’s super greasy, no matter how thorough you are, it won’t just do it. Although you shouldn’t use it frequently. This is because you would like to maintain a balance of your head’s natural oil that the dish soap completely removes. Another reason is, it sheds your hair dye by a shade or two. So if you want to tone down the hair dye, then the dish soap is your friend. It can also be used in laundry by removing stains. 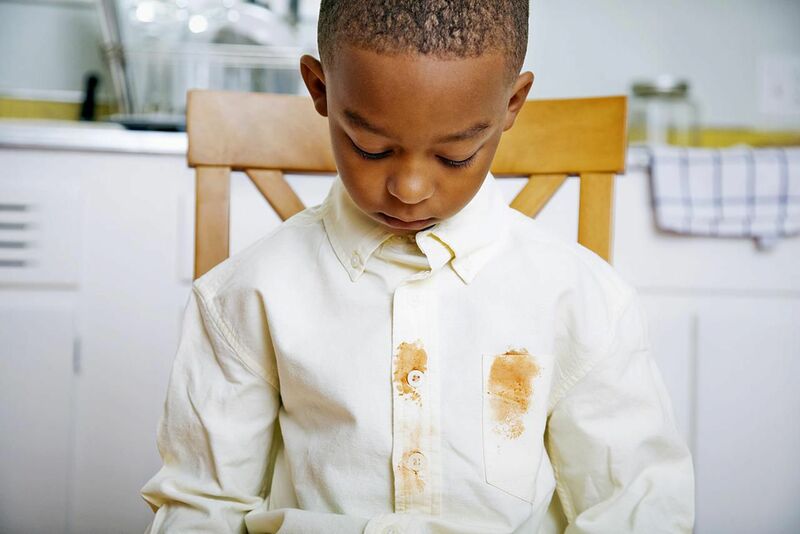 Tough food stains like grease can be very stubborn to remove. If you find yourself in such a position, squirt some dish soap on the affected region then soak for a few hours. Rinse out the soap and clean as usual. It is most effective with oil-based stains because it has been produced to break down oil. This is a great hack that not only leaves your cloth spotless but also saves money. Additionally, it is gentle enough to be used on most fabrics –even washable silk and wool. Even the smallest thing like choosing a cleaning detergent has become such an overwhelming task. There are many cleaning products within our reach, but if you can’t settle on one, dishwashing soap does the trick. It saves you money while leaving surfaces sparkling. The cabinets and walls of your kitchen get greasy when cooking. To clean the place up, add a dish soap into a spray bottle with warm water to mist away from the grime. In cleaning your bathroom, mix the same amount of dish soap and white vinegar. Then squirt the mixture on your sink, toilet, and bathtub and let it soak. Resume after 15 minutes then flush, even without scrubbing, your surfaces will be sparkling clean. There’s nothing that screams fashion crime louder than chipped nail polish. To be fair, no woman would desire to have chipped nails. 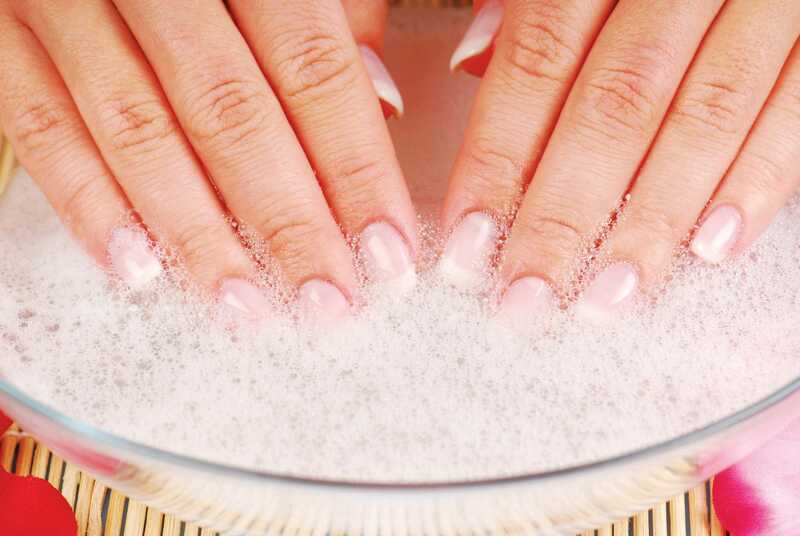 Dishwashing soap goes a long way to helping your beautiful polish stay intact for a while longer. Put a small amount of dish soap to as warm water as you can handle, then dip your fingers for around ten minutes. The soap helps in removing the oil from the nails to help the nail polish adhere better to your nails. It also helps clean the debris underneath your nails, soften your cuticles and strengthen your nails. Grease splatters on your floor giving you a hard time? 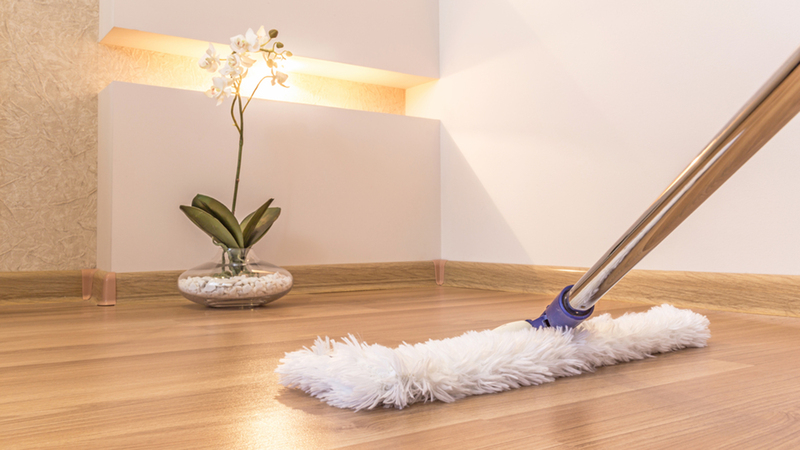 Adding a few teaspoons of dishwashing soap to your warm mopping water makes a big difference. Additionally, the soap works magic in degreasing almost any type of floor. Though be careful not to over-use the dish soap. Just a mild mixture does the job fantastically. Dish soap leaves your floor looking sparkling clean. Most appliances at homes are stainless steel which needs to be cleaned regularly. If you don’t have any plans to invest in special cleaners, dishwashing soap will come through greatly. Consider getting a lint-free cotton cloth because you won’t have to clean out the lint afterward. Then just a dab or squirt of the dish soap, some warm water, and start cleaning your appliances. If you want a polished look, you can repeat the process by using baby oil. Gardening tools are also appliances that can be cleaned using dish soap. Your car wheels can get sparkling too. Yes, jewelry can and should be cleaned, otherwise, you’ll have them looking facet-less and flat. If you want them to glitter, you can get it cleaned at the jeweler, spending a lot in the process. Yet you might as well just soak your jewelry in a bowl of dishwashing soap and water. Swish them around, pull them out then scrub gently with a soft toothbrush. Rinse and wipe them with a clean cloth to get a quick DIY sparkle. While you are at it, you can also clean your hair and makeup brushes the same way. It’s surprising how dish soap can kill various nagging insects from your home. For instance: ants, cockroaches, fleas and plant bugs. And amazingly, the annoying (almost seemingly indestructible) fruit flies can be trapped. Simply mix a few drops of dish soap and water into a container of white vinegar and leave it on the table. The vinegar traps the fruit flies as the soap keeps them from flying out of the water. There are more uses of dish soap, but the above are the main uses at home which you have no doubt found helpful.